UTVUnderground asked MTX Audio to be their Official Audio Partner after hearing how great our new UTV Audio gear sounds, whether going 80 mph through the desert, or through the trees, in your well equipped, outdoor vehicle! You will see MTX speakers, MTX subwoofers, MTX audio controls and MTX amplifiers mounted in UTVUnderground vehicles pumping out the tunes at events, races and parties. Pull up the rig and crank the music! UTVUnderground announces: First Annual UTV World Championship to be held February 19-21 in Laughlin, NV. See our MTX Event 2015 UTV World UTV Championship article. 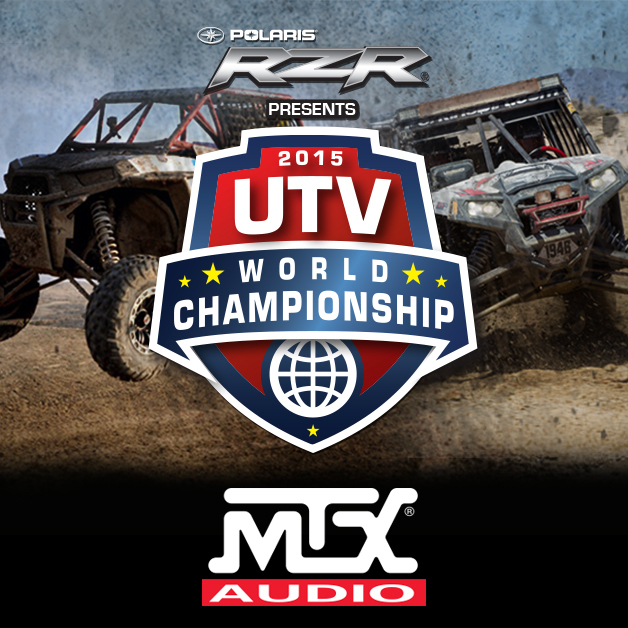 Also see the UTVUnderground site for more 2015 UTV World Championship race information.